Spring is here at last! Amazing flowers, snakes and Hayfever are but some of the wonderful things we can look forward to over the next few months! At ALPHA Rings we love spring because it marks the ramping up of the wedding season. We start to notice a lot of people desperately needing a ring at rather short notice from about late August onwards. So if you are planning to get married over the next 6 months, we strongly suggest that you do your research nice and early so you have a good idea what you’re after nice and early. 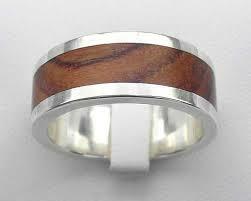 Then you can make sure, if the ring has to be made, that you’re getting it made with plenty of time to spare. Theres nothing worse than finding your ideal ring, only to find out that its not possible for the ring to be made in time! At this time of year, Alpha Rings works on about 4-6 weeks to turn around rings that we do not have in stock. Almost all Edward Mirell stock is made fresh for our customers, in their Deerfield Beach, Florida manufacturing facility. We hold a good selection of Tungsten, Titanium and mens Cobalt Rings but again, please contact us nice and early so that if we do not have it, we are able to project how long this will take to get made. Here at Alpha Rings we’re all about making sure that you’re experience is as good as we can possibly make it. If that means we don’t have the ring you’re after, we’re never going to try and sell you something you won’t be happy for you. We want you to have the product you love, and we hope that you find that product right here!